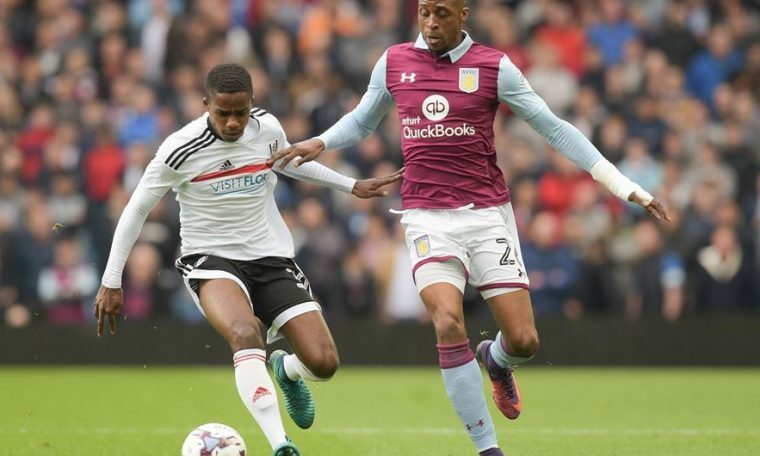 Fulham’s eighth away trip of the season sees Slavisa Jokanovic’s side travel to Villa Park to face Aston Villa on the exact same weekend as when the Whites last lost in Birmingham last year. Exit the M6 at Junction 6 and take the slip road signposted Birmingham (NE). Take the fourth exit from the roundabout beneath the motorway (turning right), towards the City Centre/Aston/Star City and follow the signs towards Villa Park. Turn right along Lichfield Road onto Aston Hall Road, which will take you down to the ground. Although extra trains are running on matchdays, the trains to and from Aston and Witton can be become extremely crowded both before and after the game. Fulham fans may find it easier to get a taxi back to Birmingham New Street, board one of the local buses or travel to Birmingham Moor Street station and continue their journey from there. Fulham Football Club’s official coaches will depart from Craven Cottage and opposite the Earl Beatty pub on West Barnes Lane at Motspur Park train station from 10am on Saturday. Seats on these coaches are still available and cost £17 for adult season ticket holders and members and £10 for junior season ticket holders and members or £22 for general sale adults and £15 for juniors. Most pubs in the vicinity of Villa Park or in Aston serve home fans only on matchdays and have bouncers on the door. The Witton Arms (458 Witton Rd, Birmingham B6 6SN) is divided between home and away supporters on matchdays, with a separate entrance for visiting fans, although you will be charged £2 for entry. The Yew Tree (Brookvale Road, Witton, Birmingham, B6 7AS) will also welcome away fans and is about 15 minutes walk from the ground. It does not serve real ale, but offers a wide range of other beers and Magner’s on draft. Supporters arriving with a bit of time to spare should visit one of Birmingham’s best pubs the Bartons Arms (144 High St, Birmingham B6 4UP), which is a Grade II listed building and has one of the finest Victorian pub interiors in the country. A regular in the CAMRA Good Beer Guide, the pub has been in operation on this site for over a century and serves award-winning Oakham craft and cask ales, a wide range of drinks and outstanding Thai food. Fans travelling in to Birmingham New Street station have a number of venues to choose from. Regular away pubs include The Shakespeare (Lower Temple Street, Birmingham, West Midlands, B2 4JD) directly outside the station and there are several more on nearby Bennett’s Hill. These include the popular Wetherspoon’s The Briar Rose (25 Bennetts Hill, Birmingham B2 5RE), The Sun on the Hill (23 Bennetts Hill, Birmingham B2 5QP), which has a wide selection of beers, food and shows live sport on their big screens, and The Wellington (37 Bennetts Hill, Birmingham B2 5SN), which serves a comprehensive range of real ale and, although it does not provide food, is happy for customers to bring in their own. Supporters arriving or departing from Birmingham Moor Street Station might wish to try The Woodman (New Canal St, Birmingham B5 5LG) or The Windsor (33 Cannon St, Birmingham B2 5EE). The Centenary Lounge restaurant (Moor Street, Queensway, Birmingham B4 7UL) offers breakfast, lunch or snacks or tea to eat in or take away and is ideally located if you are coming off a train waiting for friends or have some time before your departure.